When it comes to installing any type of electrical device, it’s imperative that it’s done safely and correctly. That’s why getting a trustworthy recommendation is so important. These days, technology makes getting a recommendation easier than ever. Whether it’s an electronic device, piece of clothing or professional service, consumers are ready and willing to give feedback and share their experiences online. This helps manufacturers improve their products and services, and it also helps fellow shoppers learn what’s the best and what to avoid. 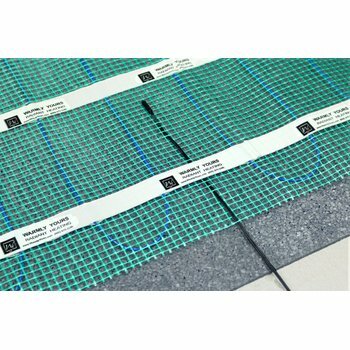 When it comes to installing an electric floor heating system, homeowners may wish to hire an electrician as well as a floor-heating installer. 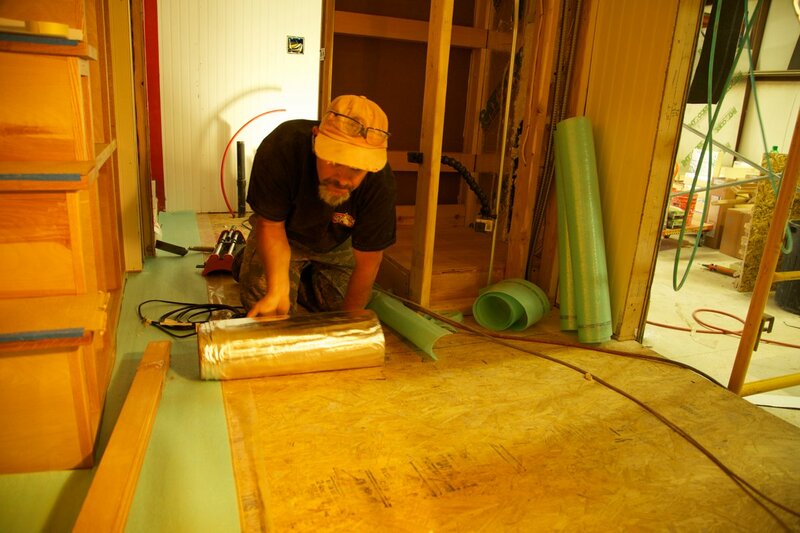 The electrician would be responsible for the final step of connecting the floor-heating system to the thermostat, whereas the floor-heating installer would be responsible for everything else — laying out the radiant heating system and installing the flooring on top. Some contractors may be proficient in all of these fields, meaning the homeowner would only need to hire one contractor for the job. 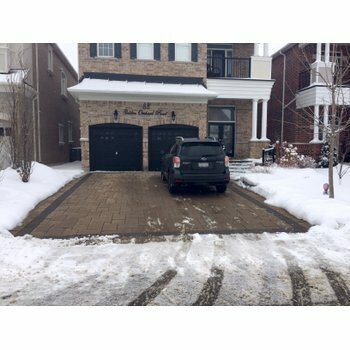 To find out what professionals are in your area, what their expertise is, and how they are rated among other homeowners, WarmlyYours suggests consulting the following sources. 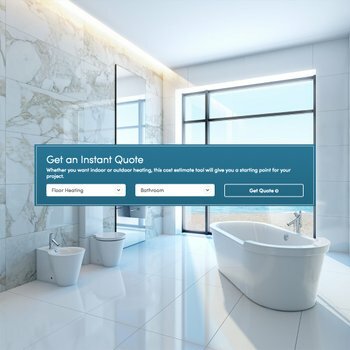 When you want to have a WarmlyYours floor-heating system installed, the first place to start searching for a qualified contractor is WarmlyYours’s Dealer/Installer Database. This database uses your zip code to show the floor-heating installers in your area. It provides the business name, address, phone number, email/web address, and the services provided, such as “electrician,” “supports flooring,” “remodel contractor,” and more. This is a great starting place for your search to come up with a few valid businesses in your area. Once you have a few names, you can check home remodeling sites like Angie’s List, Porch.com, and Home Advisor to learn more about them. These sites are trusted for sharing reviews and pricing among the homeowner community to make finding the best trade professional as quick and easy as possible. Finally, when in doubt, ask your friends and neighbors! Use social media and local referral sites like Yelp to learn the pros and cons of radiant-heating and flooring installers in your area. When it comes to these platforms, consumers don’t hold back, so you’ll be sure to hear about the good, the bad and the ugly here. Once you’ve found the best installer for the job, there’s another added perk that WarmlyYours delivers — 24/7 installation support. No matter who you’re working with, WarmlyYours has installation experts available by phone 24/7 to answer any questions you might have. Whether you’re having trouble turning the system on, unsure of how much thinset or self-leveling cement to use, or simply want to make sure you’ve laid the heating element in the right pattern, a WarmlyYours expert is ready to help. Just give them a call at 800-875-5285. Our technical support team has years of experience in troubleshooting floor-heating issues. If you have a question, there’s no doubt they’ve heard it before, so don’t hesitate to reach out to them for help. That’s the unique perk of buying a WarmlyYours Radiant Heating system! By doing your research to find the best installer and utilizing the benefit of WarmlyYours’s 24/7 technical support, you’re sure to end up with a fully functional floor-heating system that delivers the warmth and comfort you’ve always dreamed of.